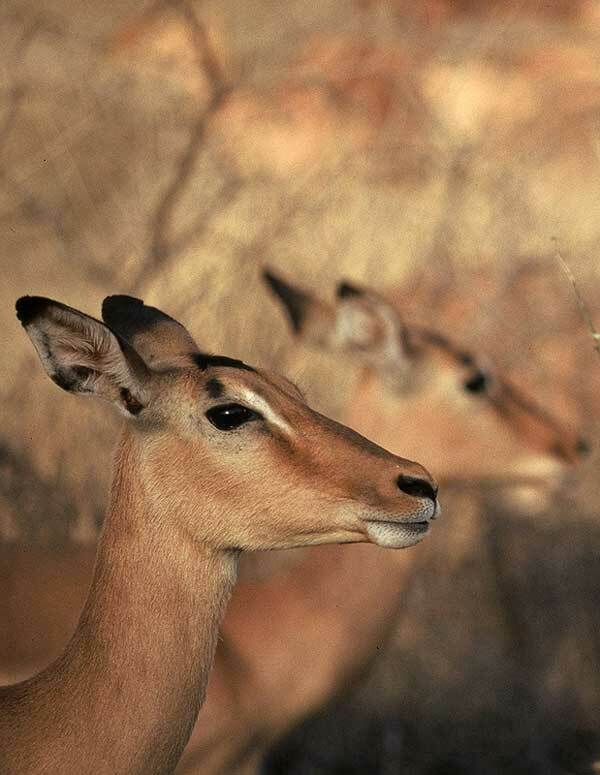 Caption: Close-up of a pair of Impala females (Aepyceros melampus) in late afternoon light, Kruger National Park, South Africa. Photo: © Scotch Macaskill. Camera: Canon EOS 35mm film camera, using Fuji slide film.